Tuesday: Bring in your favorite dish for the potluck! Plus bingo afterwards. Wednesday: Indoctrination at 6:30 pm. 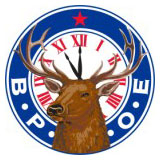 Saturday: District Initiation at the Golden Lodge at 4:30 pm. Dinner at 6:00 pm. 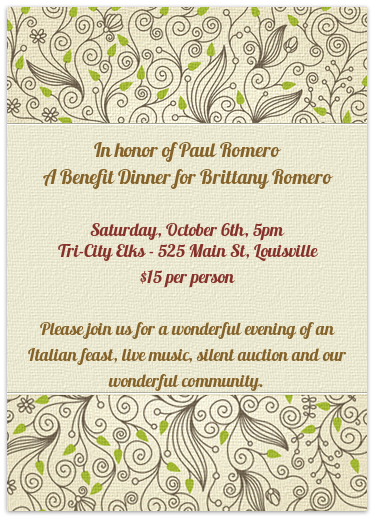 October 6th - Dinner to celebrate our friend Paul Romero & benefit for Brittany Romero. Betty will be leading the team. See invitation below for more information.